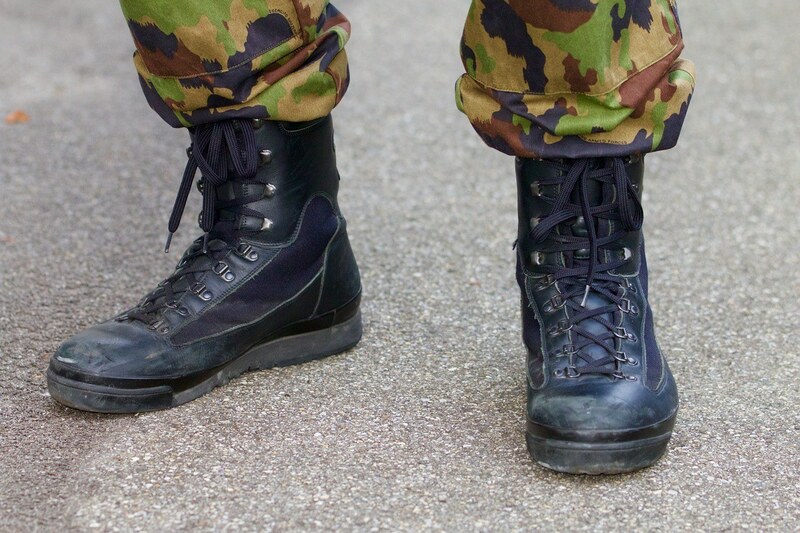 Do you put a lot of thought and time into choosing your military boots? I expect you do, but what about the best military boot socks? This is something I dare say many don’t consider too much. It’s all well and good making sure you have the right boots. But wearing the right socks is equally important, to keep your feet comfortable and your footwear in good condition. Check out our guide to what we consider are five of the best socks to wear with your combat boots. 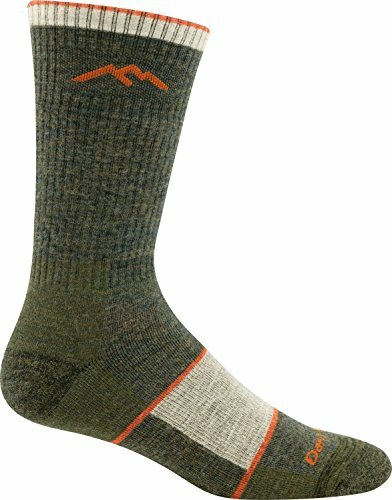 Containing 64 percent Merino wool, these socks have cushioning along the length of the sole for comfort. They also have no seams and ribbed support, reducing the risk of slippage, blisters and bunching. They are made in Vermont, USA. These soft, resilient moisture-wicking socks will keep your feet dry and comfortable. The shin, instep and arch are cushioned for a better fit, and the heel and ball of the foot are padded for protection. They help reduce pain, pressure and blisters on the feet. A half-cushioned footbed in these socks reduces volume but still provides comfort. Moisture-wicking ArmourDry material keeps feet dry, and the antimicrobial ArmourBlock technology prevents odor and bacteria. The seamless toe reduces the risk of irritation. The Stryker from FoxRiver has a reinforced heel and toe area to reduce wear. Padding at the instep reduces pressure from the tongue and laces. Special wicking and odor prevention technology keeps feet dry and fresh all day. These over-the-calf socks have 80 percent Merino wool in their composition to give warmth and comfort. The addition of nylon and spandex helps them keep their shape and stay in place. Added to that is cushioning in the sole for long-term comfort. Here is our roundup of the best five army socks. Darn Tough is a family-owned business, based in Vermont, USA, where they make and test all their socks. They use sustainably sourced Merino wool, and offer an unconditional guarantee for life. The owners believe their socks are the most comfortable you will ever wear and are among the best army socks. 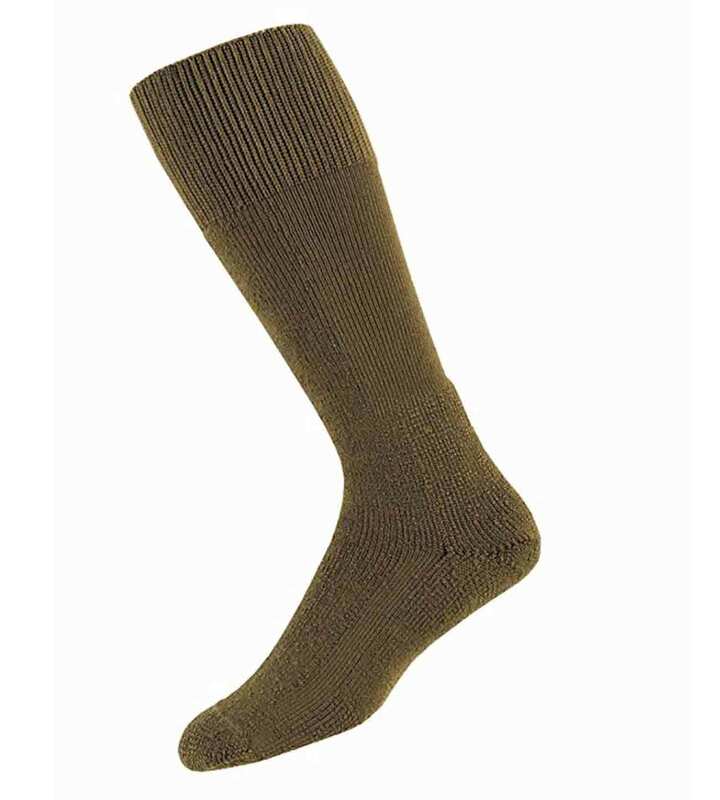 These tactical boot socks are available in six colors and three sizes. Medium fits shoe size 8–9.5; large: shoe size 10–12; and extra large: shoe size 12.5–14.5. These socks are made from 63 percent Merino wool, 33 percent nylon, and 3 percent Lycra spandex. The performance fit sits at mid-calf length and promises they won’t slip or bunch. They are also seamless, meaning there is less chance of nasty blisters. The natural antimicrobial quality of Merino wool keeps your feet smelling fresh. It also helps wick moisture from your feet, keeping them dry. As they’re made from a fine gauge knit, there are more stitches per inch, to keep feet cool in the summer and warm in winter. This close knit makes the socks durable and offers what the company describes as a “put it on, forget it’s on” fit. Cushioning in the footbed of the sock makes them extra comfortable. Keep feet dry and odor free. Some find the sizing a little on the small side. Available in a choice of sizes and colors, these Merino wool socks can be worn any time of the year. They have cushioning for added comfort, and a lifetime warranty. 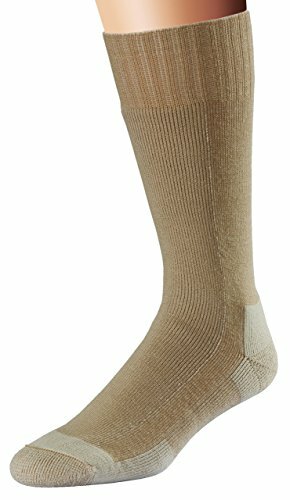 These combat boot socks from Thorlo help keep your feet healthy, even when used under combat and field training conditions. 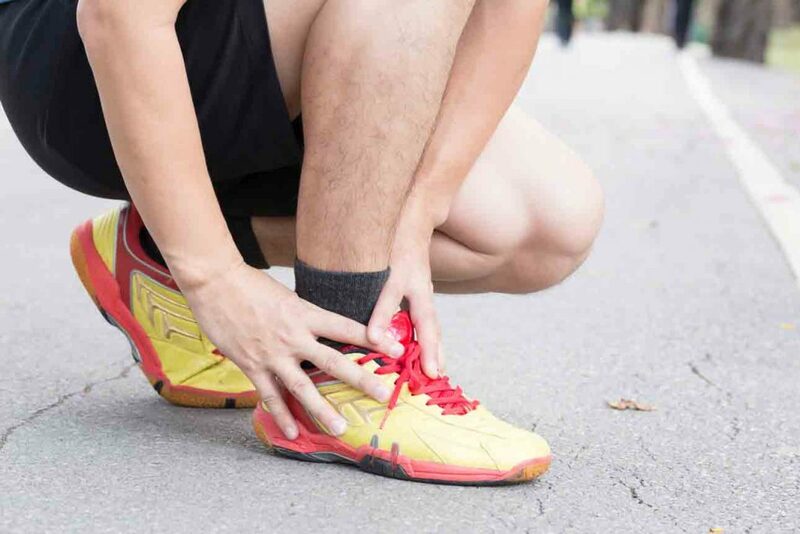 Their socks have been clinically tested and shown to reduce foot pain, blisters and moisture. Thorlos are graded for “levels of protection” from one to three. Three being the highest in the category, these heavyweight socks offer the most protection. Specifically designed for use with military and tactical boots, they are made from 84 percent Thorlon acrylic, 14 percent nylon and 2 percent spandex. 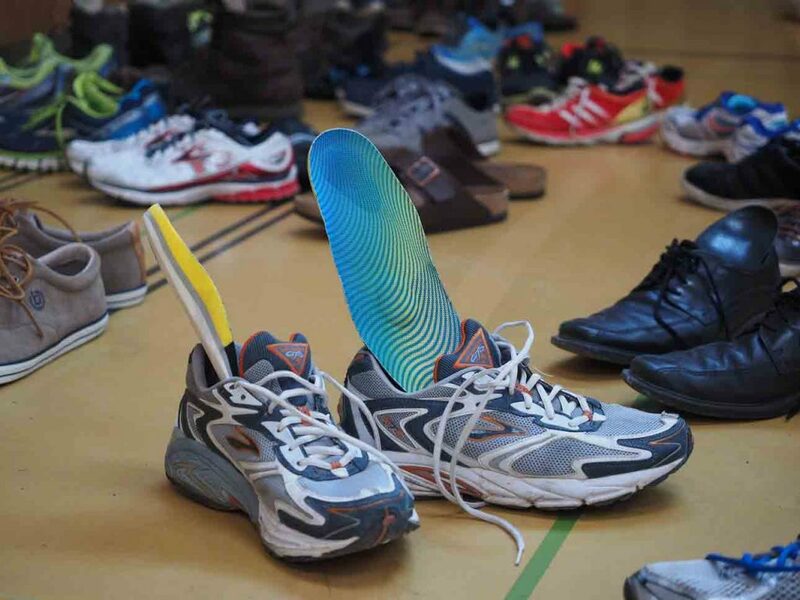 They have padding in the heel and ball of the foot to help you move easier and protect your feet. Cushioning on the shins, instep and arch gives you further protection from the pressure your boots exert on your feet. The seams are low profile, so they won’t rub and cause blisters. Moisture-wicking properties help keep feet dry. These soft but durable socks come with a 30-day, no-risk trial period. There are three color options and three sizes available, to fit feet from sizes 5.5 through 15. There are many videos about the brand and their socks on the company’s website. Good padding to protect feet over prolonged wear. Easily reach over the calf. Clinically tested and shown to relieve foot pain and blisters. Very thick so make sure you have room in your boots to accommodate them. Thorlo has clinically tested these socks for the relief of blisters and foot pain. Thorlos are well padded, with additional cushioning in the insteps and shins. Under Armour is a well-known brand producing sportswear. It also manufactures a range of socks, this Heatgear tactical sock being one of them. These green military socks are regulation compliant. Made from 95 percent polyester, 3 percent nylon and 2 percent spandex, they come in men’s sizes, from 4 through 16. There is a half-cushioned footbed that gives support and comfort without adding too much thickness. They also have support built into the arch, to help stop feet from becoming tired. The toes are seamless, helping prevent rubbing, discomfort and blisters. Under Armour’s ArmourDry material and ArmourBlock technology help keep feet dry and odor free. They wick moisture away from your feet and prevent the bacterial growth that causes nasty smells. Over the calf socks that stay in place. Keep feet dry and prevent odor. Some find the socks too long, coming over the knee. These antimicrobial socks keep feet dry and smelling fresh. They are long and stay up well. Padded and cushioned, the foliage green color is military compliant. Fox River began producing socks for lumberjacks over a century ago. Made in the USA, these Stryker socks are guaranteed against manufacturing defects for one year. The socks are made from 76 percent acrylic, 22 percent nylon, and 2 percent spandex. They come in a choice of two colors, sand and black. The sizes range from medium through to extra large, to fit shoe sizes 6 through 14.5. A heavily cushioned foot and padded instep gives comfort. A reinforced heel and toe reduce the chances of holes from wear, and makes the socks durable and hardwearing. The toe seam is flat and smooth, reducing the chances of irritation and blisters. These socks can wick moisture away from your feet, keeping them dry, and Fox River’s Scentry technology keeps odor at bay. There are also vented panels, allowing your feet to breathe. This makes them good for hot weather wear. Might be too warm during summer months. Backed by over a hundred years of experience in making socks, these from Fox River are comfortable and hardwearing. They also have a one-year manufacturer warranty. These socks from Alvada are suitable for both men and women. They come in two sizes, small/medium, and medium/large, covering feet sizes for women from 6 through 13 and for men from 5 through 12. Made from 80 percent Merino wool, 15 percent polyester and 1 percent spandex, they have excellent moisture-wicking properties. While thick enough to keep your feet warm, they won’t leave them feeling wet. Equally, they will keep feet cool in warmer climates. Nylon added to the blend helps stop the socks from feeling itchy. This means you shouldn’t feel the need to scratch like you would with some wool socks. Padding has been added to the footbed, allowing the socks to cushion your feet. This can help prevent them from feeling too tired after a long day of walking. The socks can be washed on a cold setting and then hung out to air dry. High content of Merino wool. Keep feet warm when it’s cold and cool when it’s hot. May be a little thick for some boots. 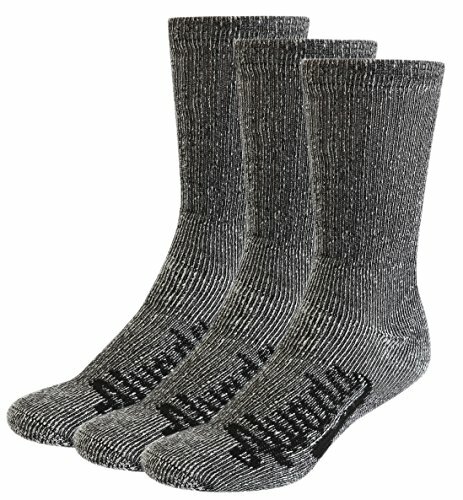 The high wool content of these socks provides temperature control for your feet. They also keep feet dry and odor free. Sizes are available for men and women. Being on your feet all day in rough terrain requires a durable and comfortable sock inside your boots. 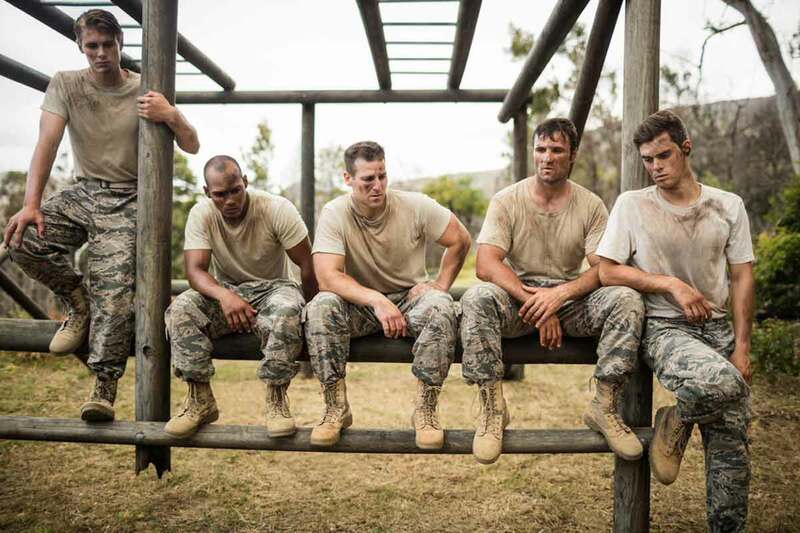 Let’s look at some of the things you need to look for when choosing the best army socks. Wool has very good wicking properties and helps take moisture away from your feet. Merino wool has fibers which are very fine and don’t leave you feeling itchy. It has an impressive capability to absorb moisture, in fact, up to about 30 percent of its weight. Moving sweat away from your feet keeps them dry and prevents bacteria from multiplying. This ensures feet stay fresh and odor free. This wool is good for both hot and cold weather. It’s also hardwearing, meaning less chance of holes in heels and toes. This inexpensive fabric is not as absorbent as wool but will wick moisture away from your feet. It also dries quickly and is included in the fabric used in many types of socks. Nylon is strong and adds durability to the fabrics used in socks. Although it doesn’t have good wicking properties, it is absorbent. This man-made fiber is petroleum based and woven very finely. It’s quick drying and many sock manufacturers use their patented weaves to help moisture wicking and odor control. It keeps its color well and is very hard wearing. These materials are stretchy and help give socks some elasticity. They are generally added to other fibers in socks, to help them stay up and give them support. Comfort is one of the main factors you need from combat boot socks. Cushioning in the footbed provides extra comfort. Padding at the instep stops laces and boot tongues digging in. Seamless toes help prevent rubbing on this pressure point, where blisters can form. Choose the best quality socks you can afford, even if they are a little more expensive. They are likely to be more durable and last you longer. 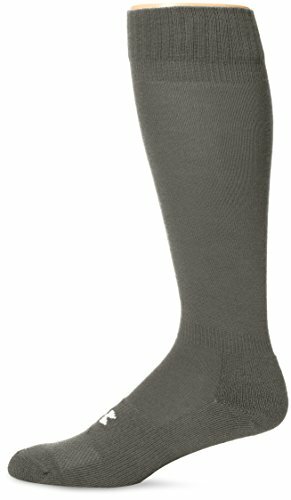 Why Do I Need Good Socks for My Military Boots? You could have the most comfortable boots in the world, but ill fitting, poor quality socks can cause foot problems. These include blisters and athlete’s foot. Making sure your socks have cushioning, are seamless and moisture wicking can help prevent this. How Long Do Combat Boot Socks Last? This comes down to materials and quality. Choosing the best you can afford will add to their lifespan. Some companies offer guarantees and will replace worn socks within a given period. All the socks we have reviewed are good contenders for the best army socks. Our favorite is the Darn Tough Merino wool sock. It has plenty of padding and cushioning, a good range of sizes and colors and carries a lifetime warranty. It is naturally wicking and antimicrobial, keeping feet fresh and dry. We hope you found our review useful and enjoyable. We would love to hear your comments — and don’t forget to share so others can also find the best military boot socks.